Oregano (Origanum vulgare) is an herb that is native to the Mediterranean, Europe and Asia. It is basically used as a spice and is said to have several medicinal properties. As the name suggests, oil of oregano is a potent steam distilled extract of the oregano plant. Oregano oil benefits includes its strong aroma and antiseptic properties. It is a natural substance and contains two key compounds carvacrol and thymol which are directly involved in inhibiting harmful micro-organisms that cause many illnesses and complications. Oregano oil should not be confused with common oregano which is used as a spice for cooking. Common oregano is typically Origanum Marjoram whereas oregano oil belongs to Origanum Vulgare. This oil can be used either as a liquid or in the form of capsules. In both the cases, it should be verified that the oil has been extracted from proper potent oregano plant and the carvacrol concentration should be at least 70 percent. The oil of oregano uses are so many that we had to categorize to be able to list them all right! Read and revel. The ancient Greeks were the first people to identify the oil of oregano benefits for its health and medicinal properties. It is potent, anti-viral, anti-bacterial, antifungal and anti-parasitic oil with a range of health benefits. 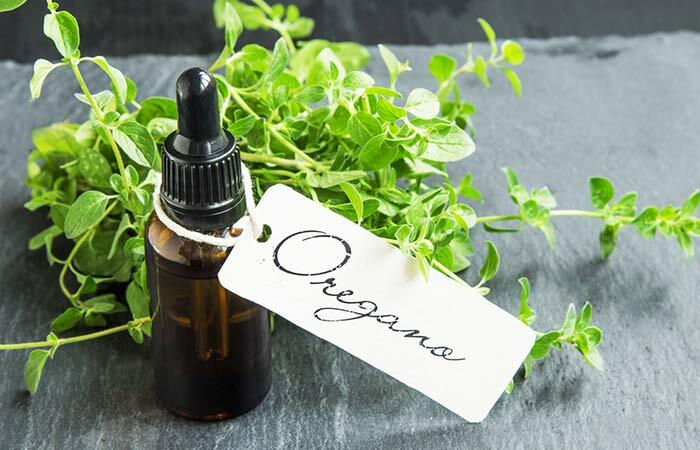 Most of the health benefits of oregano oil can be attributed to the presence of carvacrol and thymol compounds as they have the ability to kill harmful microbes in the body. These powerful phenols have anti-bacterial, anti-viral, anti-parasitic, and anti-fungal properties. Inflammation is caused as a result of the body’s natural response to toxins, injury and infections and can cause degeneration of the body’s systems. The oil of oregano possesses anti-oxidant and anti-inflammatory properties which prevent inflammation, thus strengthening the body’s resistance. Oregano oil contains decent amounts of antioxidant polyphenols, rosemarinic acid and quercitin. Research has proved that the oxygen radical absorption capacity (ORAC) in this oil is 4 times greater than that of blueberries and higher than vitamin E. The higher the ORAC value, the higher the antioxidant levels are, thus improving the healing potential. Due to its antioxidant properties, oregano oil is effective in protection against the oxidation of LDL (bad) cholesterol, thus reducing the risk of heart diseases. The antimutagenic and anticarcinogenic effects of oregano oil help in prevention of cancer. Oregano oil is an excellent option for increasing the body’s defense mechanism against cold or sore throat. You can simply take 3 drops of oregano oil in a day or mix it into a glass of orange juice and notice results within a few hours. Oregano oil should be taken up to 5 days to totally eliminate the symptoms. Oregano oil is a natural remedy for sinus congestion. You can add 3 drops of oil into a glass of juice and drink this mixture daily for 3 to 5 days for relief. Due its high content of thymol and carvacrol compounds, oregano oil is effective in calming upset stomach and aids in digestion. Indigestion can be cured by drinking a glass of milk or juice that is mixed with 2 or 3 drops of oregano oil. It also acts as an expectorant to rid the lungs, bronchi and trachea of excess mucus. This oil is a strong sedative and small doses can have a soothing effect and aid peaceful sleep. Oregano oil can be topically applied on the skin to cause internal healing. 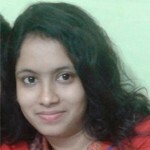 Thus, swollen lymph nodes, sore throat and ear infections can be cured by rubbing the oil directly on the affected area. The healing benefits of oregano oil can be further experienced by massaging the soles of your feet with this oil. This is beneficial to the entire body systems and has been traditionally used for healing the mind and the body. Besides, it is an alternative method of clearing the body of viral and fungal infections. This oil is extremely beneficial in case of pneumonia. For this purpose, diffuse it and inhale from a bowl of steaming water. It should also be applied on the soles of your feet. Oregano oil should be considered if you are suffering from nasal polyp. Add 2 drops of oregano oil in a pan of steaming water. Placing a towel over your head, inhale the steam for as long as possible. It can also be applied on the reflex points of your feet. Massaging oregano oil over the chest and into the pads of the feet and/or diffusing it through the air can provide relief from whooping cough. In case of muscle aches, you can massage your muscles with oregano oil diluted in coconut oil, moving towards your heart. Topical application of this oil is beneficial in the treatment of warts, fungal nail growths pimples, cold sores etc. However, it is advisable to do a skin patch test first to find out the correct dose. This oil helps in curing gastrointestinal and bronchial infections. Carvacol and Thymol compounds act as antibacterial and antispasmodic agents to stimulate bile flow in the gall bladder. Hence, it is effective in the treatment of urinary tract infections, respiratory tract ailments, menstrual cramps, arthritis, dyspepsia and bloating. Thymol , being an antiseptic, helps in treating gum disorders and toothaches and hence is used as an ingredient in toothpastes and mouthwashes. Being a strong and effective blood purifier, antioxidant and rich in vitamins and minerals, oregano oil is beneficial for your skin. Topical application of this oil in a diluted form is known to treat skin infections, itches and irritations. Given below are some of its oregano oil benefits for skin. The carvacrol compound in oregano oil helps in treating minor skin problems such as acne, cold sores, rashes and fungal infections when applied topically. This oil can be applied directly on acne lesions to speed up the healing process. The tingling sensation observed after the application of this oil stops the herpes virus from manifesting altogether. You can also mix 2 -3 drops of this oil in a glass of water and dab on the acne with a cotton ball. Discontinue using it if you discover redness or irritation. Since it possesses anti-bacterial properties, it has the ability to destroy candida and other unknown bad germs causing skin infections. It can be taken in a capsule, added to food or massaged over the affected area. In case of athlete’s foot, you can massage your feet with oregano oil, add a drop of oil to your shoes or soak your socks in warm water and 2 drops of oregano oil for relief. Taking 2 oregano oil capsules every day can provide anti-aging benefits by removing signs of aging and delaying the aging process resulting in a brighter skin color. Oregano oil possesses anti-bacterial, anti-inflammatory, anti-microbial, anti-viral and anti-fungal properties which destroy the free radicals that damage healthy cells, thus curing acne, psoriasis and nail fungus. Thus, this oil is often used in spa treatments where it is blended with other ingredients. It is one of the most effective inhibitors of yeast infections. Calluses can be treated by massaging the affected area with oregano oil diluted in coconut oil. Oregano oil is often used by manicurists for the treatment of growth of fungi between the finger and toe nails. Pure oregano oil is extremely beneficial for hair and can heal scalp conditions which affect hair growth. This oil can be either ingested in the form of capsules or applied topically on the scalp. Since it is highly concentrated, it should be used in a diluted form with other carrier oils like coconut, olive, jojoba, tea tree oils etc. Some of its benefits for hair are as follows. Dandruff is a common problem which grows uncontrollably if left unchecked. Oregano oil can remove dandruff in no more than just a week. For this purpose, you can mix a few drops of pure oregano oil per tablespoon of shampoo. Alternatively, you can create a topical ointment mixing an ounce of pure oregano oil with 4 ounces of coconut oil and apply it on the scalp after washing and conditioning your hair. 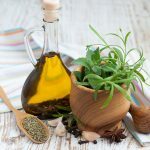 Oregano oil can be mixed with other essential oils such as olive oil, jojoba oil or tea tree oil and used on scalp once a week or every two weeks. This will result in improving the conditions of thinning hair and stimulate hair growth. 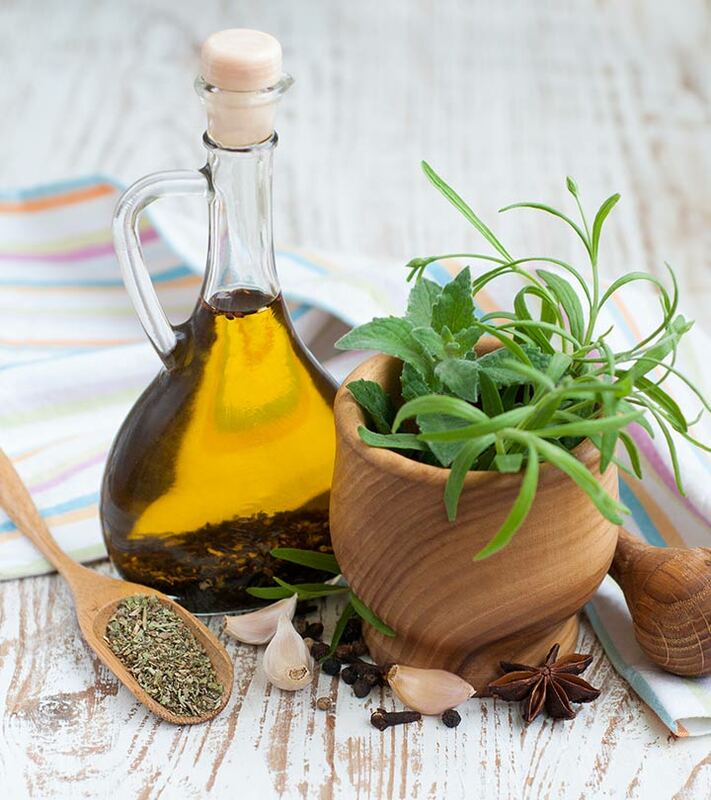 Oregano oil can be used weekly or bi-weekly as part of a hair and scalp cleansing regimen to combat the problems of hair loss, balding, dandruff, head lice, ringworm, dermatitis, scabies or scalp inflammation. Hope you liked our post on oregano oil benefits. Hence, oregano oil is a great health supplement, promising a range of health, skin and hair benefits. However, one is required to be careful while using or consuming it. It should be taken in small doses as it can impede iron absorption by your body or cause skin irritations. Pregnant women should stay away from it as it can stimulate blood flow in the uterus. It is advisable to consult a physician regarding the correct dose of this oil.